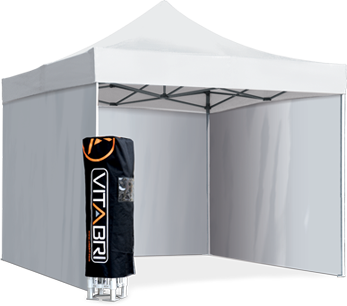 10'x10' easy set-up tent comes with 4 ropes and 4 stakes. 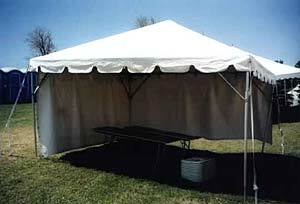 Includes 30' of Solid Sidewall (unless Aztec style). 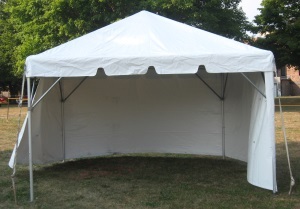 Includes 45' of sidewall (unless Aztec style). 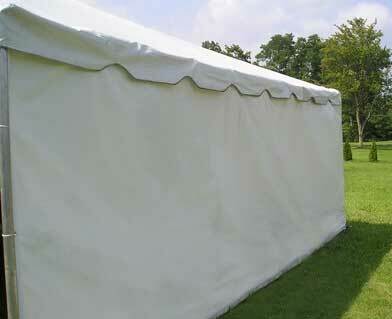 Includes 60' of sidewall (unless Aztec style). 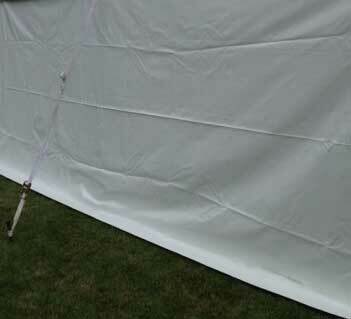 Includes 75' of sidewall (unless Aztec style). 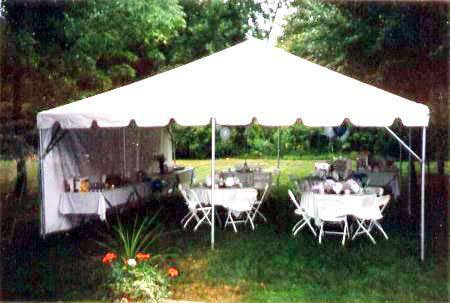 Center Pole in Middle of Tent. 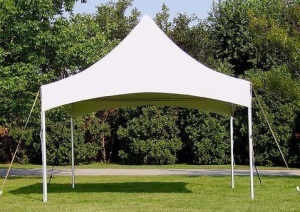 Sidewalls not included. 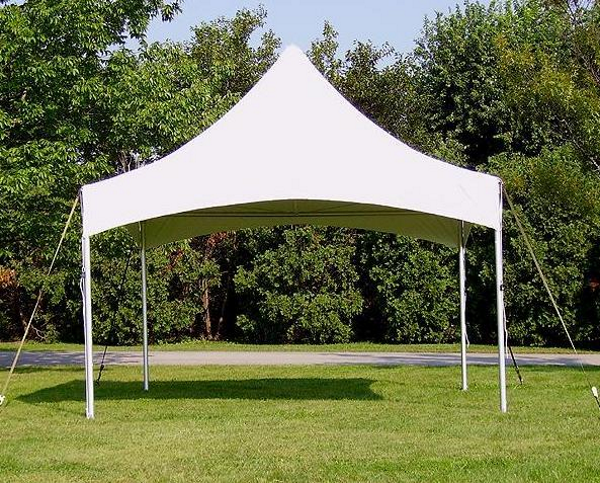 Only used when Frame tent is going over a patio/deck. 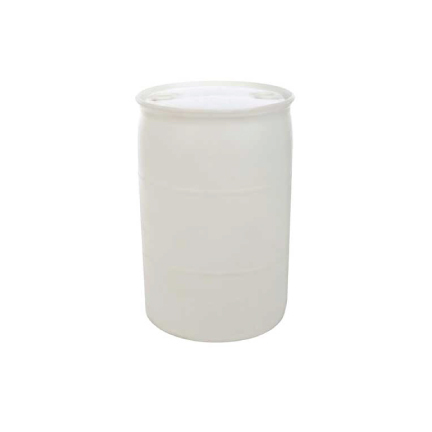 55 Gal. 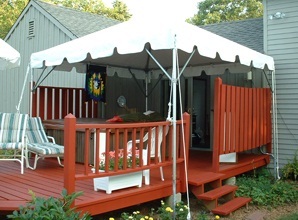 Kwik Can-Cover available for additional cost in select colors. 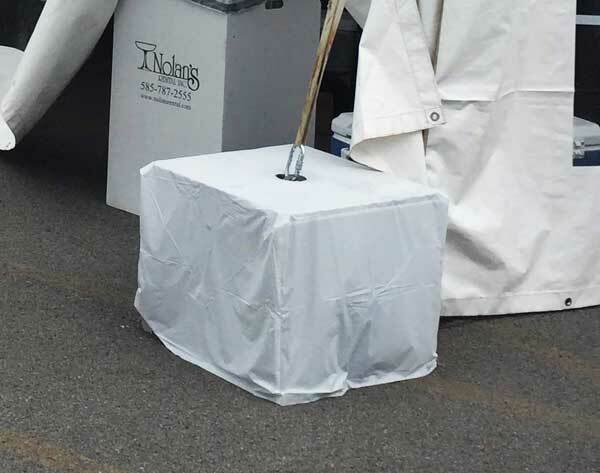 *Must have water source on site available to fill. 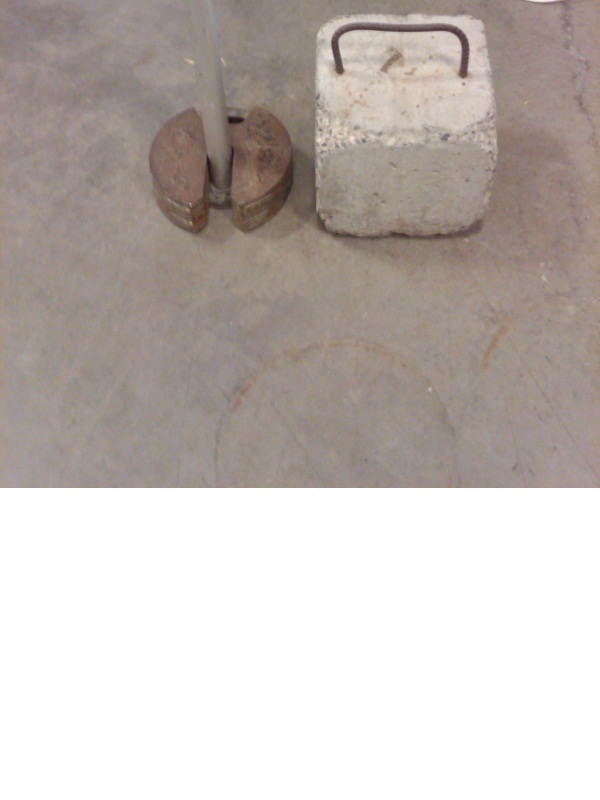 500lbs. 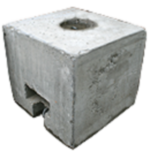 of concrete, 20"x20" block used for all our Frame tents per side pole if it cannot be staked. 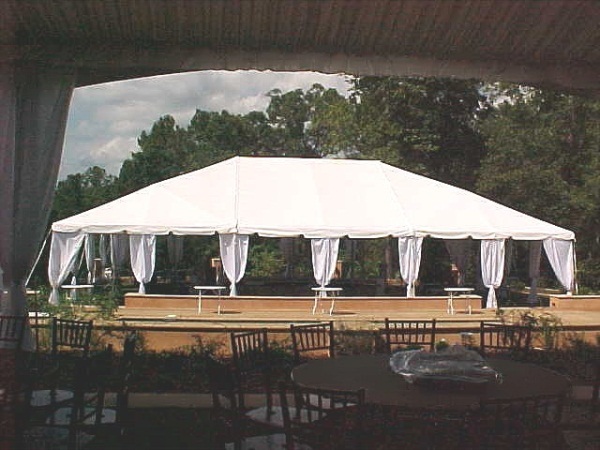 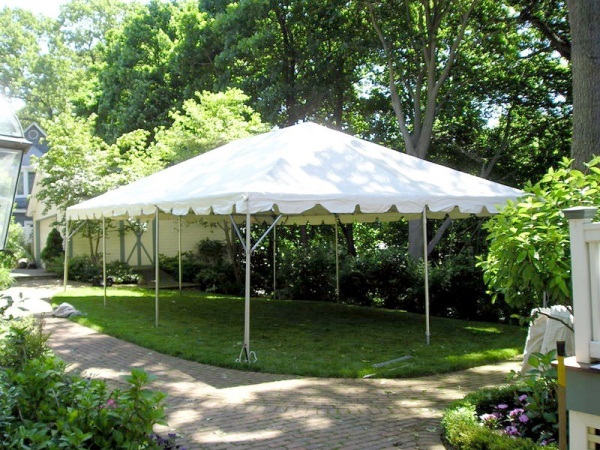 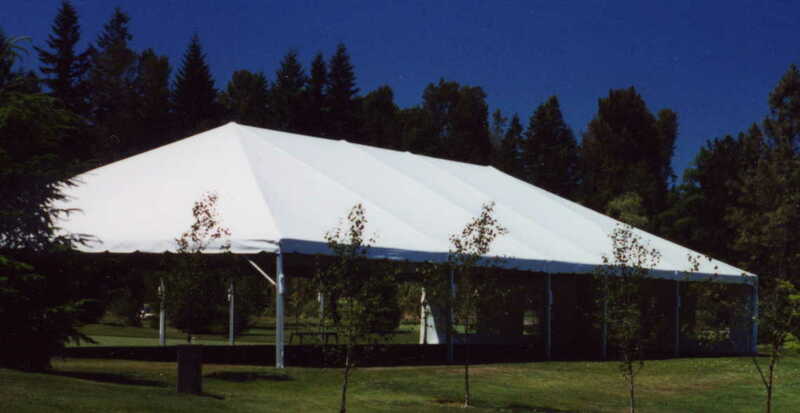 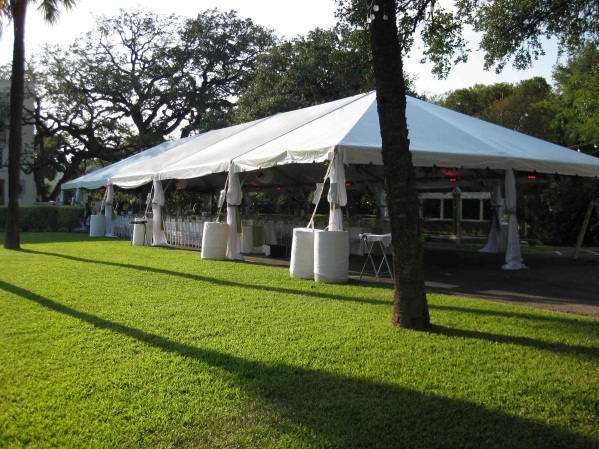 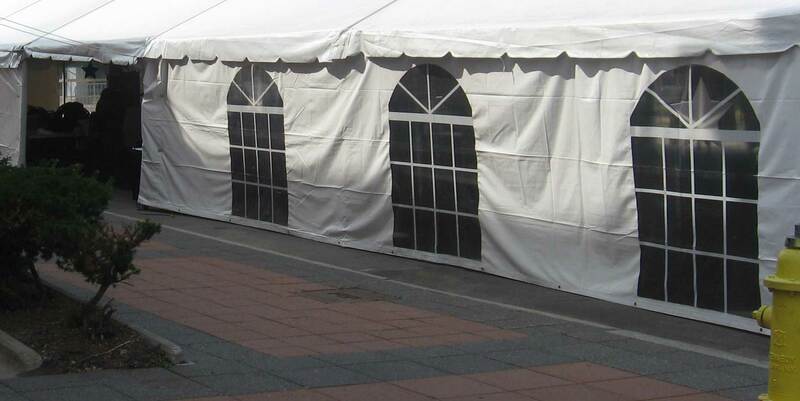 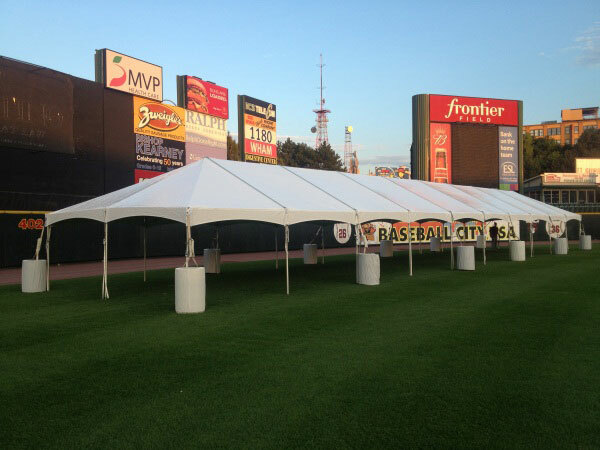 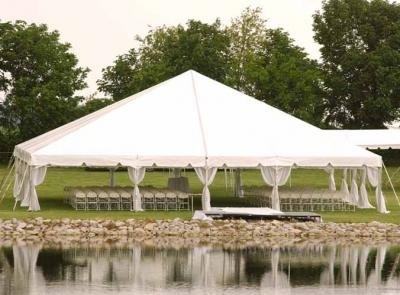 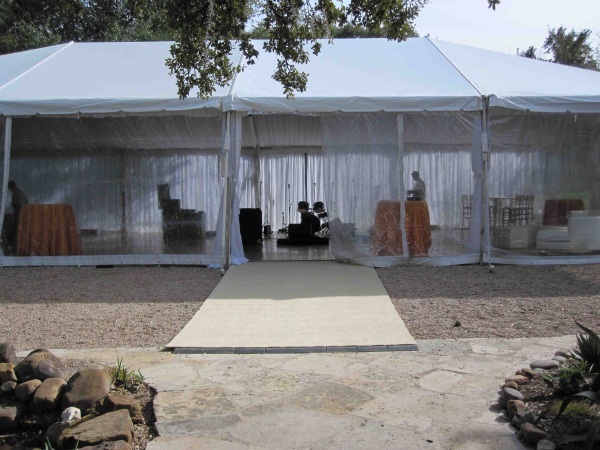 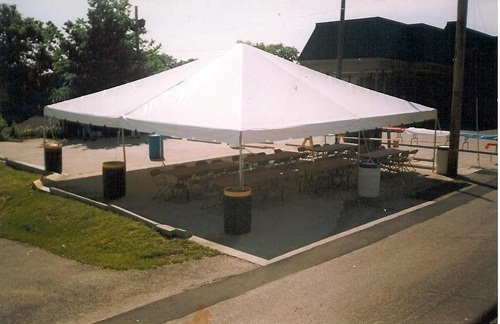 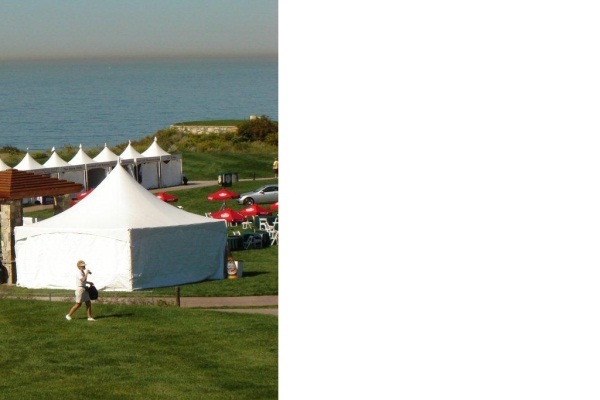 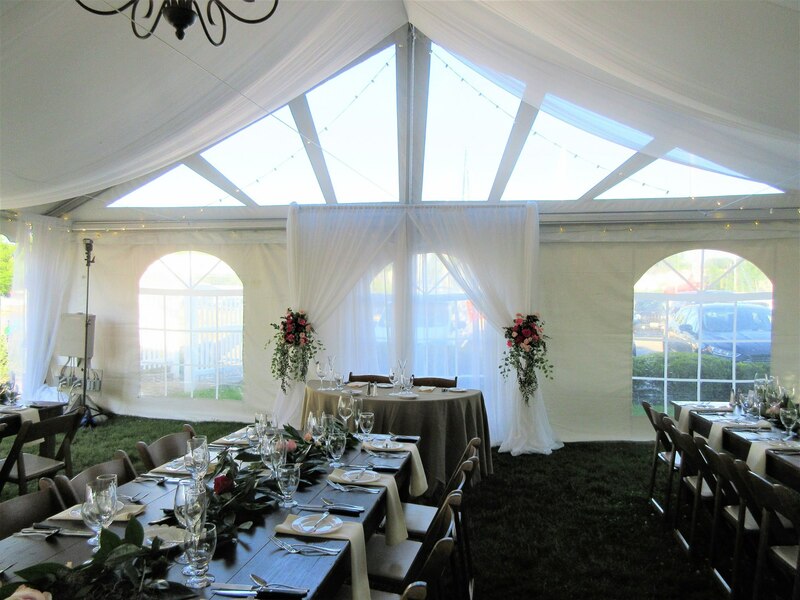 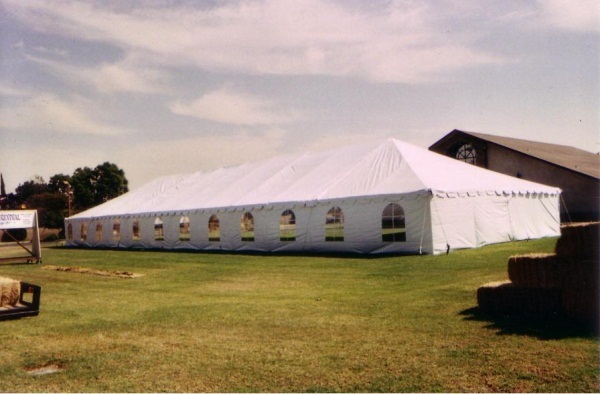 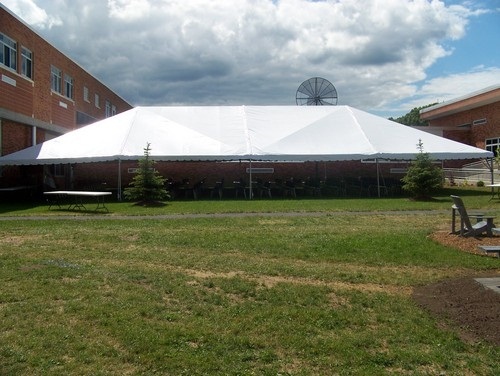 Freestanding Frame Tents are typically used for setup on asphalt or concrete, decks, over driveways, or surfaces where stakes cannot be used or when centerpoles are not desired. 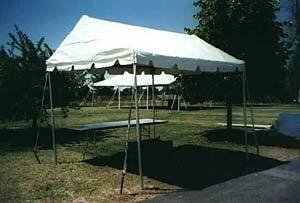 They can still be staked into the ground but if tent is going over a hard surface, weights will need to be added per sidepole. 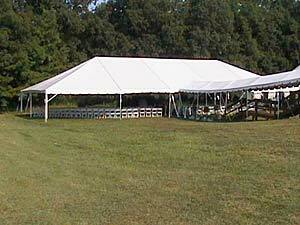 Frame tent prices are for one rental period. 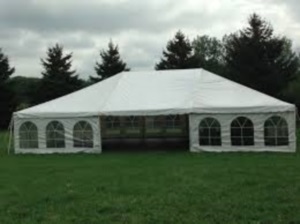 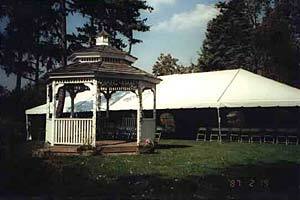 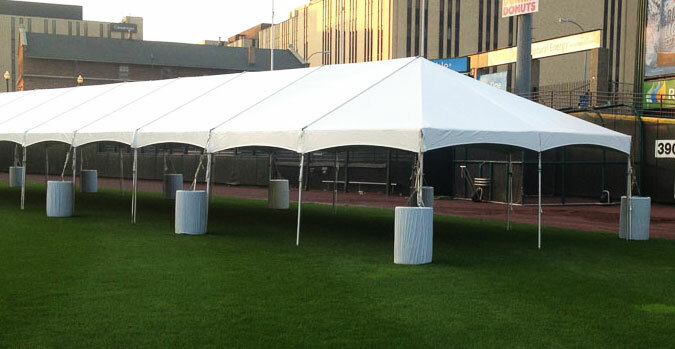 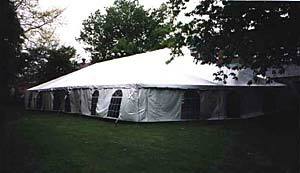 The rental period for frame tents 15' X 15' and smaller is one full day. 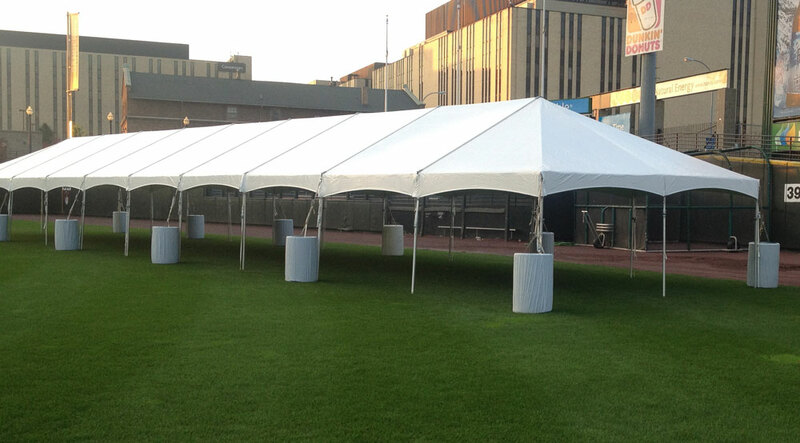 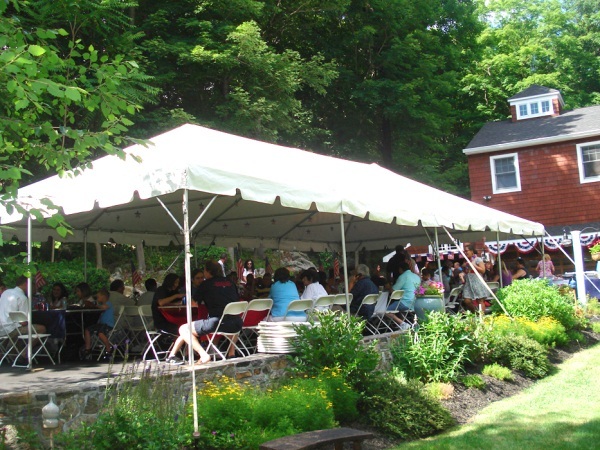 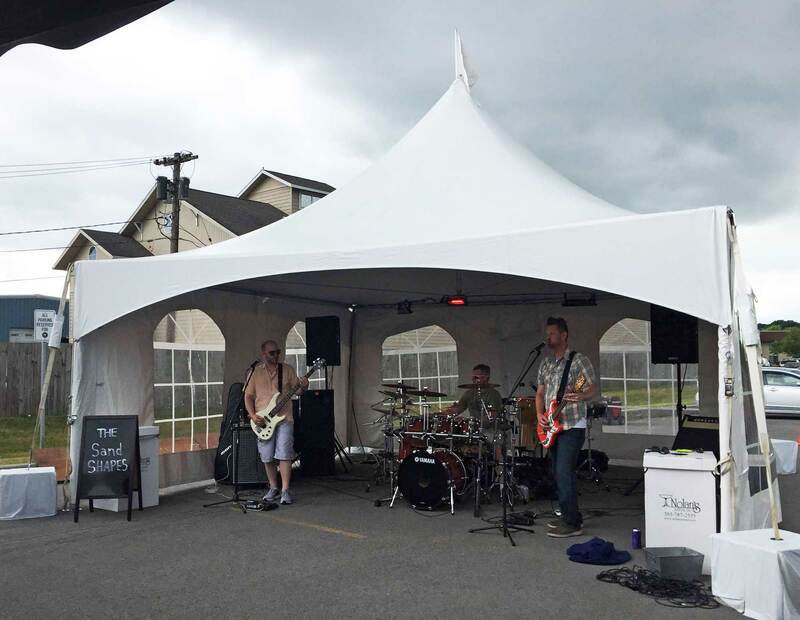 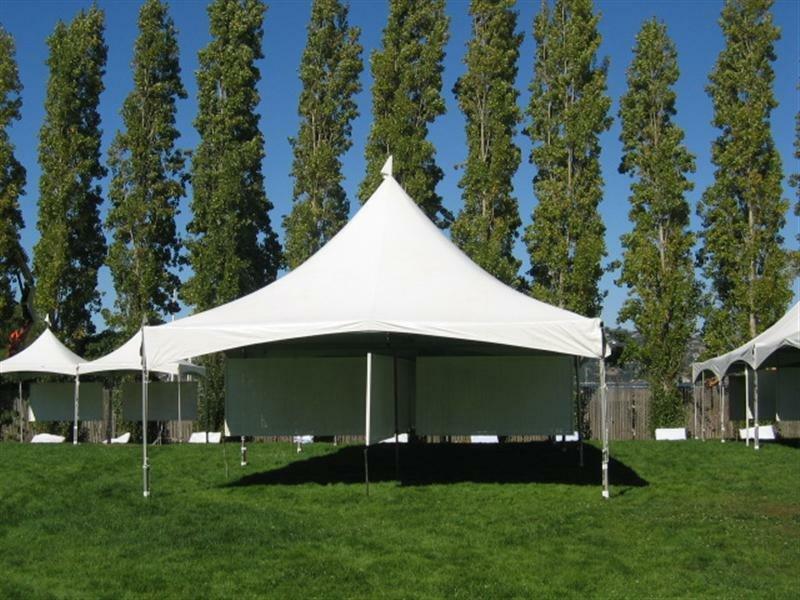 The rental period for frame tents 20' X 20' and larger is an entire weekend.